In a shallow dish, blend olive oil and garlic. In a separate shallow dish, mix bread crumbs, parmesan cheese, basil, and 1/4 teaspoon black pepper. Season each chicken breast with salt and black pepper, dip it in the oil mixture, and then in the bread crumb mixture. 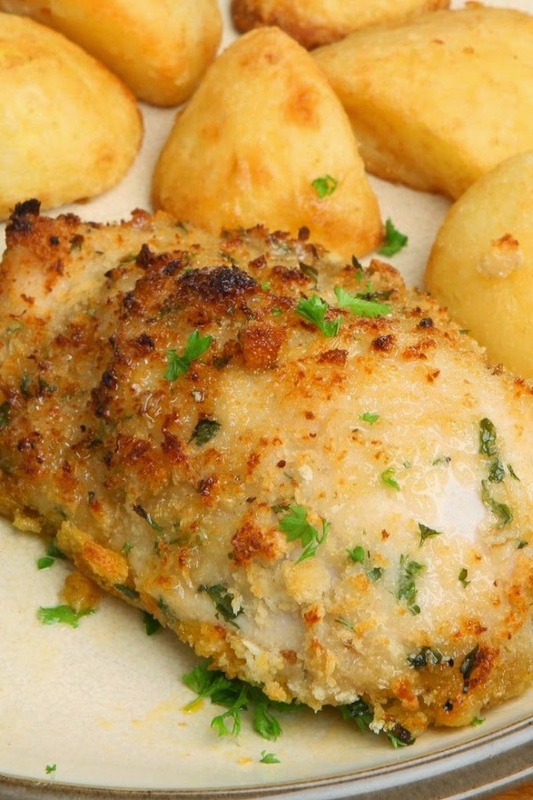 Arrange coated chicken breasts in the prepared baking dish and top with any remaining bread crumb mixture. Bake for 30 minutes or until chicken is no longer pink and juices run clear.